The purpose of planning is to support a city’s efforts to notice, adjust and organize to ensure the city is able to integrate the needs of its citizens with its context. As we build cities, our work is to ensure that we create a habitat for ourselves in which we will thrive. Is an unplanned city unplanned? Part 1 Life conditions – the times we live in, the geographic place, the challenges we face and the social circumstances – shape the purpose of a city. Is an unplanned city unplanned? Part 2 The shape of a city is determined by its geography, its purpose, the activities within and in connection to other cities – it’s life conditions. Is an unplanned city unplanned? Part 3 As life conditions change, cities shift and adjust. The purpose of the city evolves. Planning is an activity that supports our collective work to organize ourselves to ensure our habitat – our cities – serve us well. Is an unplanned city unplanned? Part 4 Along with evolving purposes of the city come corresponding evolving modes of organizing. One of the new ways of organizing was the planning profession. City – a dance of voice and values The evolving city purposes and modes of organizing are part of an evolving value system. There are four integral ‘voices’ in the city: city managers, city builders, civil society and citizens. These values and voices are in the mix as we organize ourselves to thrive in cities. Integrating voices and values Many purposes, modes of organizing and purposes occur all at once, creating a messy and uncertain world. No one entity has control of the city. Planners do not have a recipe – let alone all the ingredients. 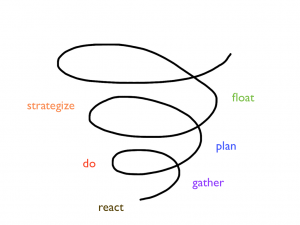 Recalibrating the purpose of planning As an activity, planning has to hold a destination in mind, allow for learning and adjustment along the way, and recognize that we do not know exactly where we are going to end up. A new era of planning cities Planning now is about have a clear, collective sense of intention and purpose to drive our work. Cities are growing and we are growing with them. The opportunity is to grow purposefully. Two conclusions arise. The first is that the overriding purpose of a city is to integrate the needs of its people, with its context, to create a habitat in which people will survive and thrive (Is an unplanned city unplanned? Part 3). The second is that the purpose of planning is to support city efforts to notice, adjust and organize to ensure people survive and thrive (Is an unplanned city unplanned? Part 4). The activity of planning is in the process of recalibrating, in order to integrate the new and emerging voices and values of the city. This is necessary for planning to respond to today’s life conditions, rather than those of decades or centuries ago. To meet the needs of citizens, cities must adapt. In order for cities to adapt to the evolving needs of citizens, citizens need to adapt as well. The next series of posts will form Chapter Three – The Thriving Impulse. They will explore what it means to thrive, from an evolutionary sense. Part Two – Organizing for Emergence and Part Three – Nest City will get into the details of how we can organize ourselves to serve ourselves better. 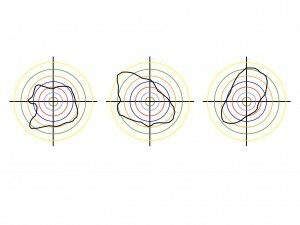 Drawing on the work of Ken Wilber’s Integral Theory, Marilyn Hamilton gives us a very simple way of seeing a whole city. 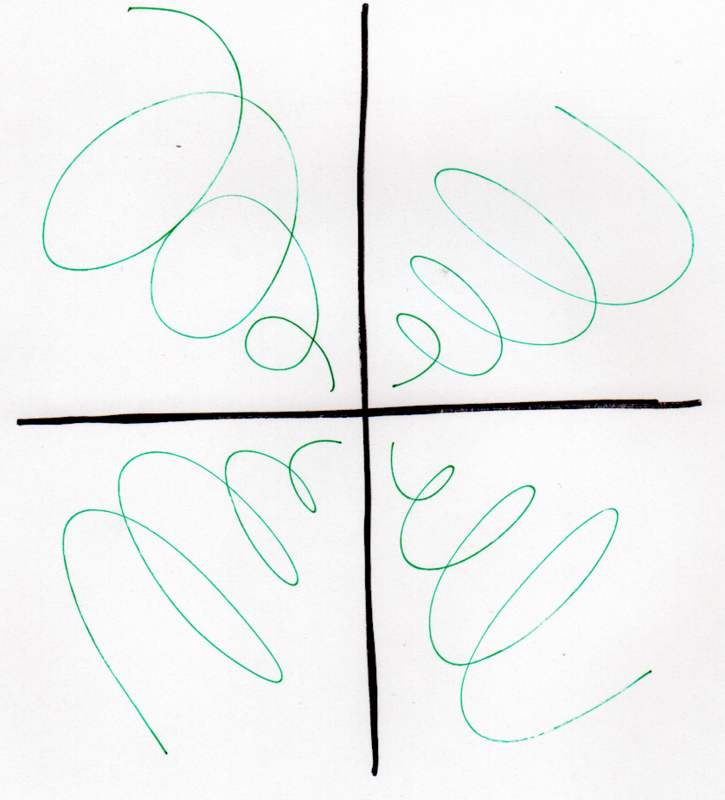 Integral theory conjures four quadrants for life experience. The two axis in Brandy Agerbeck’s illustration (Figure 1) reflect our individual / collective experiences, and our interior/exterior experiences. The upper left quadrant is about how I show up inside myself – my inner well-being. The upper right quadrant is about how I show up on the outside – my behavior. The lower right is about how we show up collectively on the outside – our structures. The lower left is about how we collectively who up on the inside – our culture. Simply, what is going on inside – our inner weather – and what is going on outside – the structures (physical and otherwise) we create. At quick glance, it is easy to see how each of these voices have a hand in shaping the place we live – both the physical structure of it, as well as the social structure. What we don’t contemplate is how each of these roles has a legitimate role to play in our creation (and re-creation) of our communities and cities. For example, the city managers run our institutions – the very organizations that are charged with working for the public interest. Yet the city builders are the people and organizations that actually build the city we live in. They take the risk, they do the work, they reap the rewards and losses. Typically, these two facets of city creation are in conflict with each other. 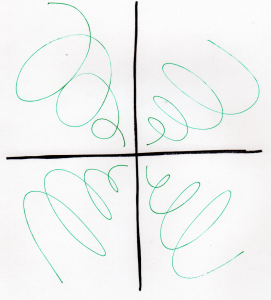 In the end, these four quadrants can be quite separate from each other. They can be very firm in their ‘silos’, with very little interaction (ie only when necessary), let alone integration. And this can take place within each quadrant as well. It is easy to imagine citizens in conflict with city hall, or civic organizations in conflict with city hall. Or an environmental group and a developer in conflict. Conflict and opportunity is everywhere. How does this connect to the purpose of the city and our levels of organizing that emerged when asking the question, Is the unplanned city unplanned? Part 1, Part 2, Part 3 and Part 4. 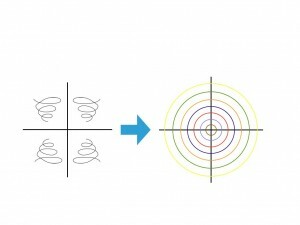 (See Part 3 and Part 4 for specifics on the Spiral diagram). 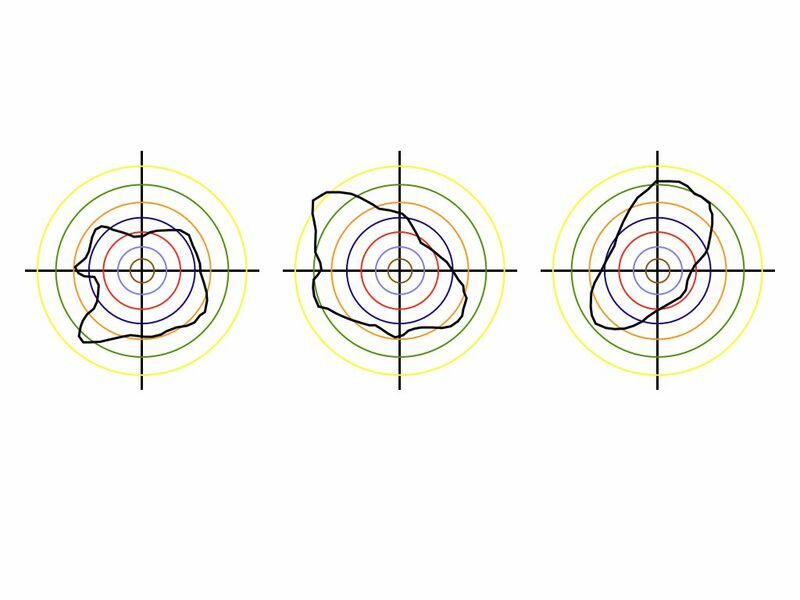 The purpose of the city (Figure 3) and the levels of organizing evolve within and between each of the four integral city voices (Figure 4). The purpose and levels of organizing do not necessarily advance equally, but the order of advancement is the same. City voices could, in fact, be in several places at once; it is not a uniform experience. The city managers could be looking for a high level of order while the city builders could be looking for a lesser degree of order. Civil society could be looking for a higher degree of order than citizens. As a whole, the city is a dance among voices and values. The Integral City voices give us a way to look at the voices in the city – the perspectives. Each voice, as an individual and as a collective, will see the purpose of the city differently depending upon the life conditions experienced. How we see the purpose of the city, whether explicitly or implicitly, shapes how we organize ourselves as well. The city is a dance of voice and values, where we organize ourselves to thrive. In my next post, I will explore how varied these voices and values can be. I have used the word ‘builder’ here instead of developer to ensure a distinction from the qualitative aspects of the word ‘development’ in Chapter 1 – The City Impulse. As for any city, the shape of St. John’s is derived from its geography, its purpose, the activities within and in connection to other cities (see part 1 and part 2). There was no master plan for St. John’s to become what it became. The shape and character of St. John’s did not take place because of a single dream, or a single person, or even a single authority. In times of colonial expansion, the geography of St. John’s provided ice-free shelter at the Eastern edge of North America. The settlement was established where it made sense to be. In the end, colonial authorities and the people living in St. John’s gave it its shape. Military personnel, governors, port authority officials, businessmen, church leaders, servants and the patterns of how families met their needs all shaped the city. They organized themselves to make sure they had what they needed to survive and thrive as individuals, as a settlement and as an Empire. Collectively, they knew what it would take to run the fishery from the port of St. John’s and they did it. The Rooms, St. John’s seat of cultural identity that provides public access to history, heritage and art, overlooks the harbor from the site of its seat of military identity: Fort Townshend. The fish flakes no longer surround the harbor, but the unplanned city survives as a cultural hub and tourism asset. It is woven into today’s St. John’s. The public access to pathways on Signal Hill from Outer Battery Road passes over a home’s deck, less than a metre from the home’s front door. The St. John’s Port Authority continues to serve local, regional and international trade requirements. It’smission is to provide reliable, economic and efficient port services in support of Canadian trade, fostering regional economic development and serving Newfoundland and Labrador’s distribution requirements. Life conditions vary from city to city, each adjusting and organizing itself – and adjusting its purpose as appropriate. 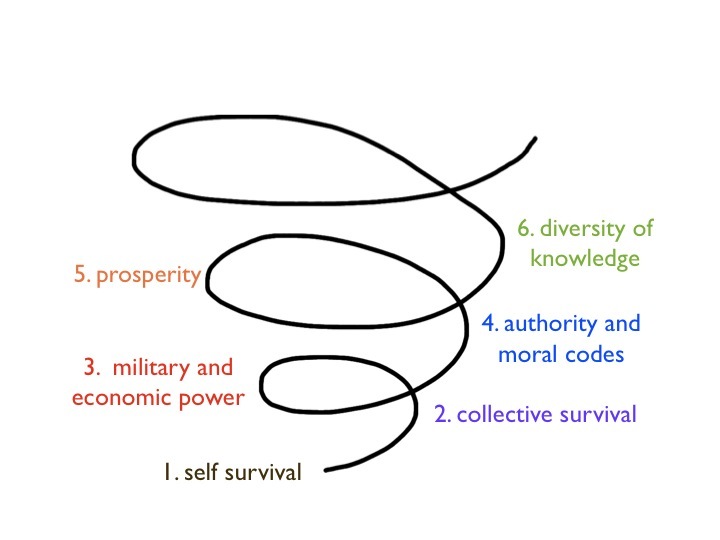 The St. John’s example highlights five distinct purposes (1-5 in Figure 1): individual survival, collective survival, power, authority and prosperity. 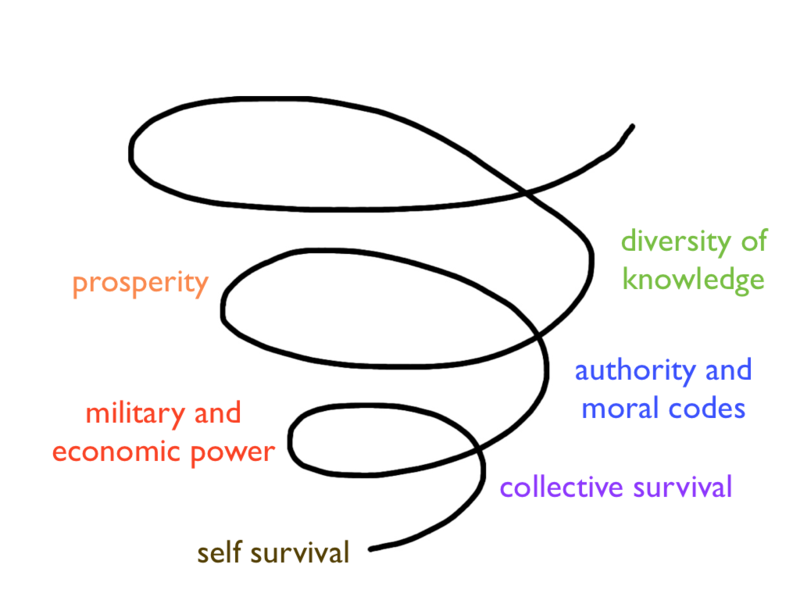 (More on this spiral in Chapter 3 – The Thriving Impulse.) Each of these has its own trajectory that shapes St. John’s over time. In practice, each of these purposes involves integration of the local needs of individuals and the city, with relationships with other cities – a necessary condition for the city’s survival that is clearly still a focus for St. John’s. St. John’s was not planned to be what it is today, but it is certainly not unintentional. Is that enough to say that it is unplanned? It did what it needed to do in each stage of its development. Does ‘planning’ mean that it should have done more than respond to the life conditions at each stage of development? Or are there degrees of planning that correspond to evolving city purposes. The overriding purpose of a city is to integrate the needs of its people, with its context, to create a habitat in which people will survive and thrive. This is the fundamental context in which we all work. And a profession (new work) emerged among us to help us collectively accomplish this: city planning. ‘Planning’ a city is simply an activity that supports our collective work to organize ourselves to ensure our habitat serves us well. The activity of planning emerged when our life conditions required additional order; Our planning activities will adjust as we need different kinds of order. “Is an unplanned city unplanned?” will conclude with a description of the evolution of the role of planning and planning practitioners as our cities evolve. Five hundred years ago, St. John’s was a sheltered, ice-free harbor, a place for ships to rendezvous at the eastern point of North America. As power and might were driving European colonial expansion, securing the lucrative Newfoundland fishery became a military imperative. When Sir Humphrey Gilbert arrived in St. John’s harbour in 1583 with 5 ships and 260 men, he announced to the men of thirty six Spanish, Portuguese, French and English fishing boats that they were under English sovereignty. The port of St. John’s was fought over: the Basques took it from the French; Dutch from the English; and several wars between the English and French wars culminated in English possession of St. John’s in 1762. The early recorded shape of St. John’s is as military life on the edge of North America. A map of St. John’s in 1784 shows two forts (Townshend and William), the town, consisting of a series of buildings along the harbor. Sir Francis Owen’s survey map of 1798 shows more fortification: numerous batteries, a block on Signal Hill, Fort Amherst and Fort Waldegrave. He also notes the hospital, court house and custom house. The settlement is still small – still a series of buildings along the harbour. The church illustrated, but not named. Other familiar names of the places in St. John’s are named: Kitty Vitty [sic], Georges Pond, Cuckold’s Cove. For the Empire, the purpose of this settlement of 3244 people is military presence to claim its stake in the fishery and it is organized to do so. For people living in the settlement, the purpose of the settlement is more immediate: creating the conditions for survival. The settlement specifically is a means for survival and livelihood (of the Empire and individuals) by making a living, harvesting fish from the ocean and trading it with Europe. Fishing is a dangerous way to make a living: isolation, cold winters, scarce food, no health care, minimal contact with “the world”. From birth until death, endless hard work on land and water provided the basics needed to survive this harsh environment. The settlement is organized to meet these needs: a hospital, homes, wharfs, public houses and even a church, to support the settlement’s ability to make meaning of life and hardship. The settlement is organized to survive and thrive. The people of St. John’s, and the authorities supporting St. John’s, provided sufficient order to meet the needs of the emerging city; the activities of fishing, preserving, storing and shipping the catch needed a town with it to support the industry. As years passed, citizens and governments alike noticed when conditions changed and something new was needed, and likewise, things no longer needed were discarded. And so the city evolves, constantly adjusting to changing life conditions. In the 150 years since the ‘unplanned city’ that we now recognize surfaced, life conditions continue to shape St. John’s. Geography continued to play a significant role: Marconi’s first transatlantic (wireless) telegraph is sent to Signal Hill in 1901 from Cornwall, England. A Coronation Souvenir Map, 1937 shows a city still expanding. In World War II the fortifications were again used to protect transatlantic shipping routes and America’s most Eastern point of land from the attack of German U-boats. Torpedo nets were set up across the narrows to protect the harbor. New gun batteries were placed at Fort Amherst, and the American military base, Fort Pepperell, was built. The territorial impulse expanded from the British Empire to the Allied Forces. Our times change the activities of the city: the decline in demand for salt cod and the increase in demand for frozen fish in the mid 1900’s industrialized fishing patterns; the decline of fish stocks resulted in the 1992 fishing moratorium and economic hardship. The late 1990s brought offshore oil production – 100 million barrels of oil in 2010 for Newfoundland and Labrador – and St. John’s role as the primary offshore energy supply and service center for East Coast Canada. Today, cruise ships regularly visit St. John’s as part of their ‘Operation Titanic’, ‘Voyage of the Vikings’ and ‘Top of the World’ expeditions. St. John’s sits right where the land meets the water, connecting the past with the present and the future. The sheltered, ice-free port is strategically located 500 years ago and today. In reality, this port city never existed in isolation; it has always been about connections, a meeting place. It served as a rendezvous site and safe harbour for European nations 500 years ago. It supported the connection between Europe and the North America through the fisher. It connects communities by providing supplies and services with other Newfoundland and Labrador communities, with Canada and the United States, and ships crossing the Atlantic Ocean from points all around the world. And to be all of that, St. John’s became a city. The shape of St. John’s is derived from its geography, its purpose, the activities within and in connection to other cities. It may not have been planned to be what it is today, but it is certainly not unintentional. Is that enough to say that it is unplanned? It did what it needed to do in each stage of its development. Does ‘planning’ mean that it should have done more than respond to the life conditions at each stage of development? In my next post, I will bring the pattern to light: that there are evolving purposes to cities. In 1857, 30,476 people resided in St. John’s. Statistics Canada. Nfld Table I – Dwellings, Families, Population, Sexes, Conjugal Condition, etc., 1857 – Newfoundland(table), 1857 – Census of Newfoundland (Population/Sexes/Conjugal Condition) (database), Using E-STAT (distributor). What is the role of planning and planners if the overriding purpose of a city is to integrate the needs of its people, with its context, to create a habitat in which people survive and thrive? Simply, ‘planning’ a city is an activity that supports our collective work to organize ourselves into, and in, cities with the objective of ensuring that our habitat serves us well. In Is an unplanned city unplanned? 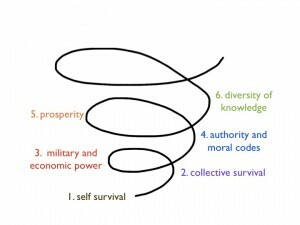 Part 3 , I introduced a spiral of evolving city purposes (Figure 1). With each level of purpose of the city, there is a corresponding mode of organizing. 500 years ago, when St. John’s harbor was settled (see Part 1 and Part 2), choices were made to ensure people’s individual survival and that of the settlement. They took advantage of a geographic location in proximity to Europe and a calm harbour that didn’t freeze, two geographic factors that contribute to the harbour’s role in transatlantic shipping today. Specific to the settlement itself, they ensured a supply of fresh water and materials to build shelter. Decisions were made in response to context to ensure survival, and once immediate survival needs were met, they began organizing themselves. Four levels of organizing (Figure 2) are evident in early St. Johns: reacting (survival), gathering (collective survival), doing (power and might), and planning (authority and moral codes). In the early days of St. John’s people did what needed to be done. Activities were coordinated – the port authority, the court house, government house, custom house. Resources were coordinated – water supply, roads. Likely in ‘do’ mode, decisions were made by the governor about where to locate the church, the various government buildings. In ‘do’ mode, forts were constructed. In ‘do’ mode, the homes and fishery in support of the fort were constructed. As authority was needed, it arrived. Once our survival needs are met, we are able to expand our view and consider others. We gather with others to make meaning of what has happened and what will happen. We work together to survive and begin the journey to thrive – in the pub or church. When things need to be done, we meet to sort out what to do. Some individuals will just do what needs to be done and set up fish flakes wherever it works. Build a dock where it works. This can feel unruly, and when sufficiently so, someone will try to give structure to things – in the case of St. John’s we the Port Authority, government house, custom house, the court house. In St. John’s, the ‘doing’ also takes place at the scale of nations: the British, French, Spanish and Portuguese all want to claim the fishery and access to the fishery. In ‘doing’ mode, they build kingdoms and lay claim to territory. As time goes on, hints of plans take root in St. John’s. And plans come with authority to make sure that the plan is implemented. St. John’s’ early maps reveal how this took place: pipes for water supply, the custom house (and its rules), road construction, property ownership, and who occupies premises. 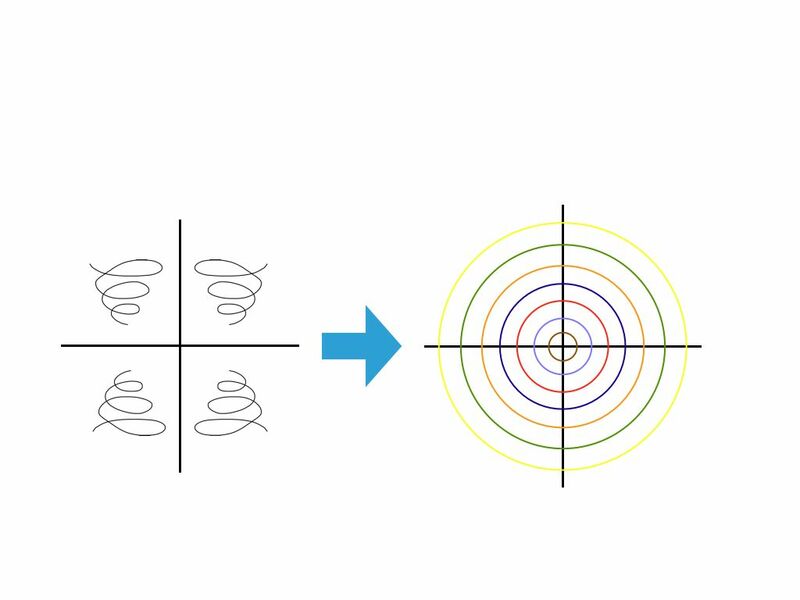 In response to our life conditions we organize as appropriate (Figure 2). The fifth purpose for cities is to generate prosperity for its citizens, in thriving economies, a mitigation of the rules that emerged from authorities, and a renewed sense of entrepreneurial spirit and creativity. In St. John’s this id evident in the corporate structure for the St. John’s Port Authority: users of the port, City of St. John’s, the Government of Newfoundland and Labrador and the Government of Canada. This is partnership, not a central authority simply consulting with stakeholders. And while not a ‘city’ organization, it certainly shapes St. John’s. A sixth purpose is emerging for today’s cities (Figure 1): to create the conditions for people to fully access our diversity of knowledge. We are growing into an understanding that city hall is not the only player who organizes a city but that there are many others involved: chambers of comer, community foundations, advocacy groups, developers and builders, citizens, health authorities, school systems, provincial and federal government, citizens, etc. All and each of these players shape our increasingly complex cities. They are increasingly demanding a role in the process of creating our cities. The formal act of planning our cities emerged as new work when we required additional order in response to life conditions of a certain time, geography, challenges and social circumstances. Planning in Canada is a fairly recent phenomenon: The Town Planning Institute of Canada was established in 1919, later turning into the Canadian Institute of Planners in 1974. Further evolution of the profession has involved the regulation of the profession by provincial governments in recent decades: Alberta, New Brunswick, Nova Scotia, Ontario, Quebec and Saskatchewan. the scientific, aesthetic, and orderly disposition of land, resources, facilities and services with a view to securing the physical, economic and social efficiency, health and well-being of urban and rural communities. While this definition is complicated, it is clear that the planning profession is in place to help the city be the best it can be for its residents. Provide the answers – traditional, linear, planning expertise. Create a habitat for exploration – support the city’s awareness so it can respond purposefully, appropriately. The difference between the two is simple: planners have expert knowledge vs. citizens have expert knowledge. There are times when the specific expertise of planners is needed. This is “top-down” activity, which is the right thing under certain circumstances. The second role, however, requires acknowledgement that a city is trying to organize itself and there is work to be done to help the city see itself (more on this, what Marilyn Hamilton calls integral vital signs monitoring, in later posts). To get what we need from our cities, we each need to be in tune to what our cities need of us. This means honing our telling and listening skills in our work in the world. We need to notice not what we want to do, but what is being asked of us. This is where the next evolutionary step will emerge for the profession – a profession in service to cities and their inhabitants. Planners are relevant when supporting the work of a whole city to organize itself. Individually and collectively, planners support our work to improve our habitat. Planners are well positioned to create the conditions for cities to see changing life conditions and for cities to figure out how to adjust. Our work, then, is to create the conditions for ourselves, and our cities, to see and respond to life conditions. Some of this work takes the form of planning as we know it, and some will take other forms. The purpose of planning is to support city efforts to notice, adjust and organize to ensure people survive and thrive. To answer the question, ‘Is the unplanned city unplanned?’, I note that all cities are organized to meet a purpose in a given context. 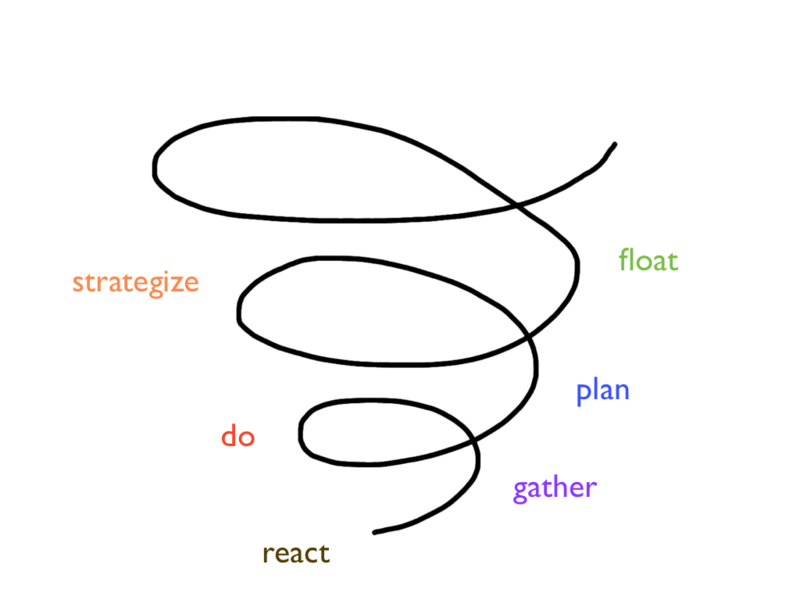 ‘Planning’ is only one mode of organizing. The unplanned city is unplanned, but not created without purpose. This is significant. Planned cities don’t achieve their plans exactly anyway. The real matter at hand is knowing the purpose(s) of cities. Whether planned or unplanned, all cities are organized. My next post will explore the voices that make a whole, integral city. To tackle the question about whether we are planning or organizing our cities, it is necessary to first look at the purpose of cities. The large, evolutionary purpose of cities is to create a habitat in which we can generate new ways of thinking, making and doing new things. We build the very habitats we need in the form of cities. Our cities are our nests. 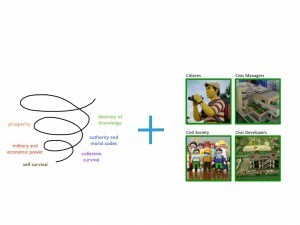 Within this large purpose, there are stages of purpose of settlements and cities. At each stage, we are driven to more than merely survive: we wish to thrive and move on to a next stage. This takes place as we constantly look for new work (new ways of thinking, making and doing new things) in relationship with our habitat (physical and social). At each stage, we build the nest we need. It is time now to again build the nest that we need. In order to do that, we need to discern the pattern that can be seen so far. In North America, St. John’s, Newfoundland is a perfect place to marvel at how human settlement changes as the purpose of the settlement changes over time. In his opening remarks at the 2011 Canadian Institute of Planners conference in St. John’s, Mayor Dennis O’Keefe invited conference participants to explore and pay particular attention to the ‘unplanned city’. He made this invitation in jest, for you can’t miss the unplanned part of this city. There is a crazy mix of buildings and roads, houses perched on rocky slopes hovering perilously over the water. The steep hills that every engineer I have worked with – if asked for approval – would scream rejection. Streets everywhere connecting and ending with no discernable pattern. Streets impossibly skinny, too short, too curvy. Today, much of this shape remains as St. John’s unplanned city. This unplanned city is mesmerizing. The word unplanned immediately conjures in my mind some form of ‘accidental’ or ‘inadvertent’ city, but St. John’s is not an unintentional settlement. It was very purposeful, and that purpose guided the very shape of St. John’s. In fact, the purpose of St. John’s as a settlement has shifted over time, with each step in its evolution leaving its mark. Mayor’ O’Keefe’s jest might have slipped by me were it not for two things that startled me while exploring the unplanned city. 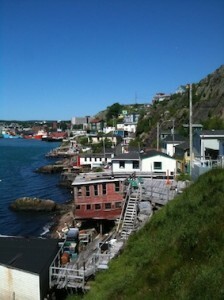 First, the St. John’s Port Authority is over five hundred years old. Second, seeing a map describing land ownership with the words, “from the high water mark to the back of the fish flakes.” The life conditions of historic St. John’s are radically different from what I know on the Canadian prairies. I am not used to imagining European settlers’ lives in North America over 500 years ago. While the words, “from the high water mark” are familiar, the words, “to the back of the fish flakes” belong to a way of life in another era, wholly unfamiliar to my life on the Canadian prairies in Edmonton. 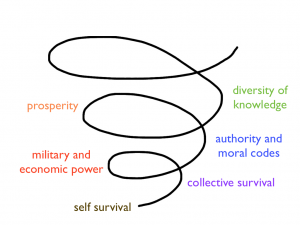 The social circumstances in which we find ourselves (status, lineage, political systems). St. John’s reveals clear examples of how life conditions have an impact on the purpose of a city, and the shape a city ultimately takes. And as life conditions change, the city’s shape evolves as needed. In my next post, I will explore the evolution of St. John’s to discern how our life conditions – our habitat – connects to the purpose of settlement/cities. Is the unplanned city of St. John’s unplanned? This fundamental question is for everyone who lives, works, plays in and visits cities: are we planning our cities or organizing them? The way we organize ourselves evolves as the purpose of our settlements and cities evolves. Over the next several posts, I will describe how the purpose of cities evolves and how our choices in how we organize ourselves reflect those purposes. There are patterns in this understanding that highlight how as citizens – including the formal, professional planners – we shape our very habitat to meet our needs, and these needs change constantly. I am not convinced that the word planning is the right word to describe the work we do collectively to create cities that serve us well. It may be the right word for a profession that does some of the planning work on our behalf, but not for our collective activity to create cities for today’s purposes. I expect I will hold onto this question about planning or organizing for several posts. To begin, in the next post I will explore this question: What shapes the purpose of a city? Posted on May 28, 2012 May 30, 2012 Author Beth SandersCategories Nest City: The Human Drive to Thrive in Cities, Part 1 - City Patterns, The Planning ImpulseTags Cities, City Purpose, Community Planning, EvolutionLeave a comment on Planning or organizing?